Artwards is a charity project by Artsolute that aims to brighten the wards for the those in hospital care. Artwards project has been transforming four wards at the National University Hospital since 2013 til today into settings for workshops and performances of dance, drama, painting, and storytelling. Artwards is now growing and will now be reaching out to the brand new Yishun Community Hospital to engage elderly patients who are in recovery with visual arts and games. 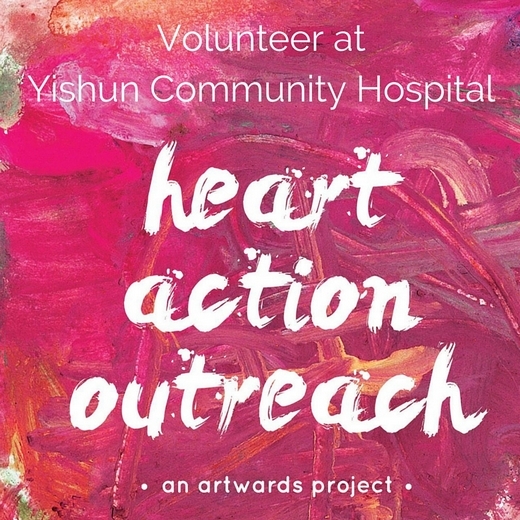 Volunteers will receive an introduction on how to use visual art or games to create conversation and engagement with elderly patients Following which, volunteers are to engage with patients in the ward at Yishun Community Hospital with the guidance of Artsolute’s facilitators and assistance of YCH’s nurses. *First time volunteers must attend a briefing/training before the session starting at 1pm. Based in Singapore since 2011, the vision of Artsolute is to raise a caring and active society through the arts. This is through activating young people to lead and participate in projects of community development, cultural exchange, and psychosocial intervention. Artsolute has conducted workshops art for social and community development in schools, communities, hospitals, for children to elderly in Singapore and South East Asia. Yishun Community Hospital opened in late January and is a new style of hospital designed for patients recovering and preparing to go home. The patients will stay at the hospital for an average of 28 days. The layout of the hospital mimics that of the household, with common dinning and rest areas.